Sort, file, store, collate, organize – Do it more efficiently! Offered in a wide array of solutions, Charnstrom will propose the right configuration for you. We also offer free design and provide 3D CAD proposals to visually present solutions. Our expertise at creating good workflow saves you time planning and provides you with the most efficient work areas and mail centers. Click here for free design help. Let us provide a quotation for you. We have installers nationwide and we deliver and install anywhere you need us to in the Continental United States. Our delivery and installation crew will unload and place your furniture items in the designated room or area. Then we unpack and assemble each furniture item and put it in place. Last but not least, we will remove/dispose of all packing materials and leave the room or work area ready for use. Just ask us to add our White Glove Service to your quote when we are quoting freight or designing your mail center and drop stations. Call 1-800-328-2962 or email customerservice@charnstrom. sequence your workstations to help your people work more efficiently. 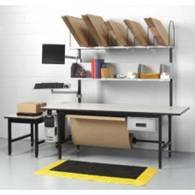 Our shipping room furniture is designed to provide workers with the optimal use of space, time and motion. We strive to provide the most ergonomic solutions available. With a broad offering of shipping and material handling solutions, we are well equipped to solve your particular set of needs. Our design expertise and CAD support drawings are free and our ultimate goal is to achieve customer satisfaction! quiet, reliable, and built to last. 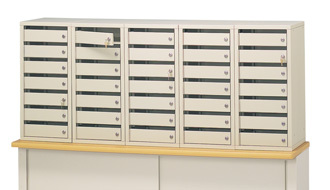 For individual secure mail drop slots, select Charnstrom locking mail boxes. With over 250 different keying combinations, combination locks, and thumb turn locks, Charnstrom has your needs covered. Individual aluminum boxes are installed into the wall or can be framed in many colors of wood to stand out or blend into your office spaces. Call us today at 1-800-328-2962 or email us at customerservice@charnstrom.com. Be sure to see our website at www.charnstrom.com. 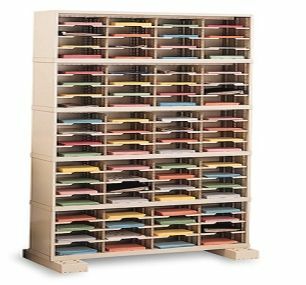 Charnstrom now combines wood mail sorters with casegoods. 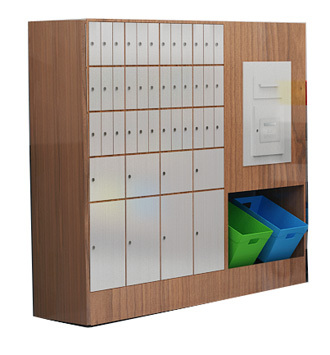 These are ideal for break rooms, copy rooms, work rooms, and mail drop stations. We will customize any configuration to enhance your office environment. 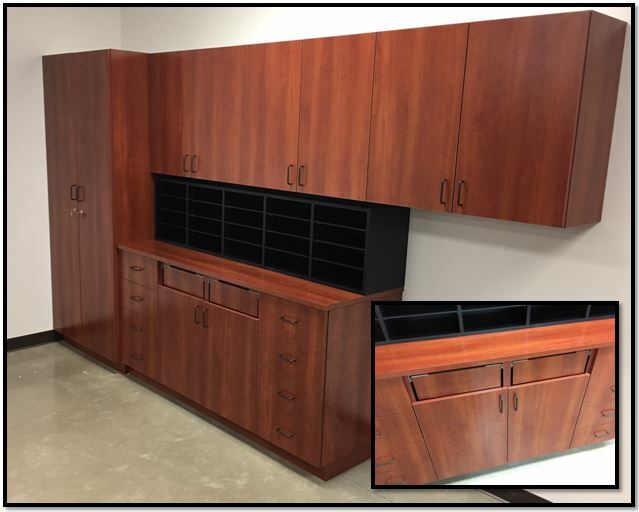 Our furniture is offered in your choice of melamine or laminate to match any office décor. Adjustable cabinet and sorter shelves adapt to change over time. See our website at www.charnstrom.com or call us at 1-800-328-2962. Let Charnstrom help you get it right! BRING ON THE MAIL – CHARNSTROM DELIVERS AGAIN! Over the last 50 plus years we’ve designed thousands of mailrooms for our customers. 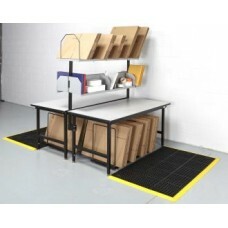 We offer hundreds of proven mail handling and sorting solutions. We’ll deliver your mail accurately and on time every day. Invest in furniture that will last and look good for decades to come. 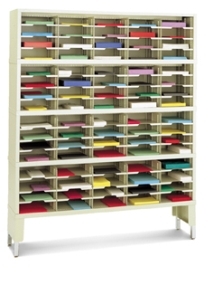 Make your next mailroom a Charnstrom mailroom! 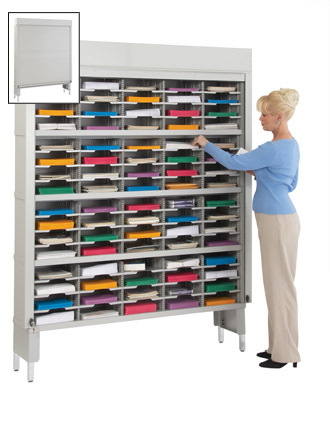 When space is tight and you need a large capacity for document storage, Charnstrom Jumbo sorters are just the right solution. For forms, literature, mail, collating materials, or any document you want to keep indexed at fingertips reach. Shelf widths are 9-1/2″, 11-1/2″, or 14″ wide; shelf depths are 12-1/4″, 15-1/4″, or 16-1/2″ deep. Opening sizes can be made bigger or smaller by adjusting the shelves on ½” increments. Shelf labels enhance the ability to quickly identify and accurately retrieve and store often used materials. 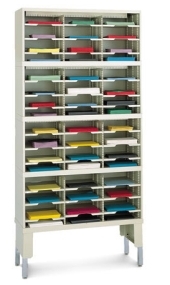 Available in many sizes and we can custom design a system for your office or mailroom space.